I dunno how many of 你 remember Yu-Gi-Oh! Season 0. It was not on 4Kids Entertainment as far as i can remember. 你 can correct me if and only if i am wrong. So my 问题 here is what ever happened to Miho Nosaka? There used to be 2 females in Yugi's group. Not just 1 female like is shown nowadays. 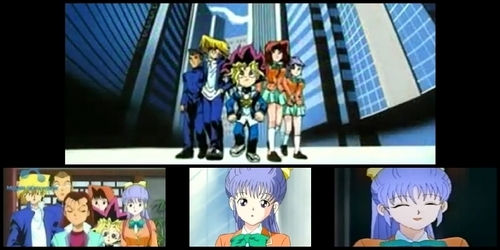 Joey Wheeler, Tristan Taylor and 茶 Gardner were not the only members of Yugi Muto's group. I also found it weird that as the original Yu-Gi-Oh! Series continued on Miho Nosaka was no longer mentioned in the series. Some of the characters hair and clothing got recolored when 4Kids was Dubbing the Anime. And the whole speech about Yugi and his 老友记 saying my 老友记 are my bonds seemed cool in all. But i also wondered whatever happened to Miho? I don't recall the 日本漫画 ever saying anything about it either. I would assume she was just a character cut out from the series all together for whatever reason. If anyone has a video 或者 a theory on this, i would like to know. Thank you.